Andres from marine-expeditions.com was a fantastic tour guide and dive master. We booked several days of diving mixed with tours of Mayan ruins, with 4 divers and 2 non-divers. We felt that the service was fantastic, Andres, booked out the 2 week period and then arranged for our tours and diving based on the weather conditions, he and Ricardo (the local driver), were perfect gentlemen and Ricardo helped my aunt with her limited mobility and Andres tailored our trips to our needs. There is no rushing or waiting around, never left feeling like you missed out! We were happy to set off early as coffee, doughnuts, croissants, yoghurt and orange juice were waiting for us in the van. With a group our size we paid less than the Thomson tours and were left feeling smug when we saw them loaded into a coach. The little things make this level of service great like Andres carries drinks for you as you go round the Mayan sites, he arranges local guides and you don't get hassled for tips (we paid a final tip to Andres and he sorted out everything else). 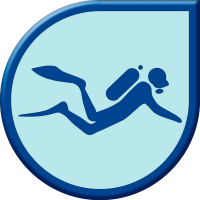 The diving was excellent, Andres can arrange everything and the diving is great.